Our most recent Third Edition! 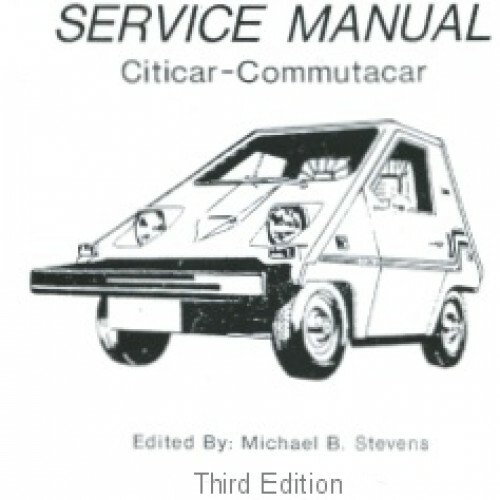 This Service Manual is over 200 pages and covers the Citicar, ComutaCar, Postal Van electric vehicles made by Sebeing and Commuter Vehicles. 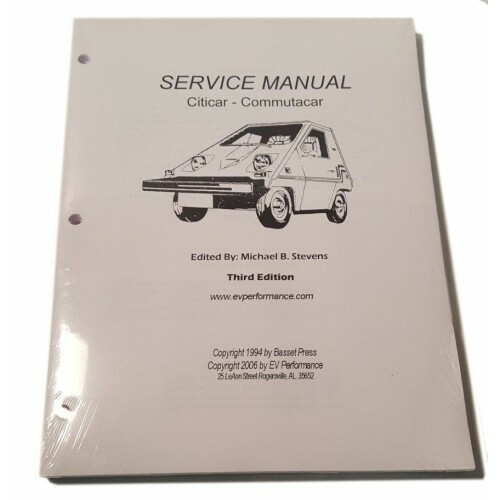 This is a compilation of over 13 different original service manuals along with our own original schematics and drawings that we use here in our own faciliy. 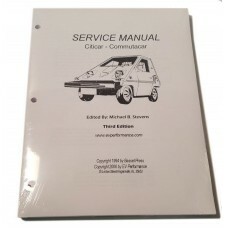 This manual is completely typeset and professionally printed by a company in St. Louis, MO. It is drilled for easy placement in your own 3 ring binder. We have found that being able to put this in a 3 ring binder and lay it flat makes it much easier working on a vehicle.